Aaron Draplin is scruffy, all-American, and often dons a Carhartt work coat. When he was a kid, he was told he could be a plumber or utility worker – not a modern genius of graphic design. Originally from Detroit, Draplin moved to California for his first design job. He hated it. Then, he got a job offer in Portland. To Oregon, he went, and in Oregon he stayed. In 2004, Draplin left his day job to try his hand at freelancing, and Draplin Design Co. was born. In the 12 years since, he’s designed logos for several major corporations, launched his own brands, and written a book. You might know Draplin as the brains behind Field Notes, the versatile pocket notebooks, calendars, and various office accessories available everywhere from The Local Store to Duluth Trading Co. Heard of the Sasquatch Music Fest? Sub Pop Records? Patagonia? Yeah, he’s designed logos for all of them. He's even the designer behind the logo for the Chippewa Valley's own Eaux Claires Music and Arts Festival. 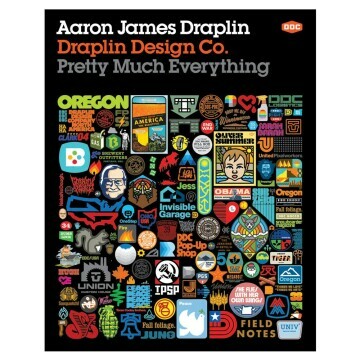 Draplin is currently on a national tour for his memoir/manual hybrid Pretty Much Everything, an ingenious mid-career survey filled with insider knowledge and Draplin’s signature wit. On May 7, the king of contemporary design is coming to EC for an exclusive 90-minute design talk at the Volume One Gallery at the Local Store. Afterwards, he’ll head to The Lakely for an intimate after-party where he’ll spin records and meet audience members. Aspiring designers, this is an opportunity you don’t want to miss. Draplin’s talks often cost upwards of $40 to attend, but this back-to-back event won’t cost you a cent.